Here are three plants that are blooming for the first time in my garden. 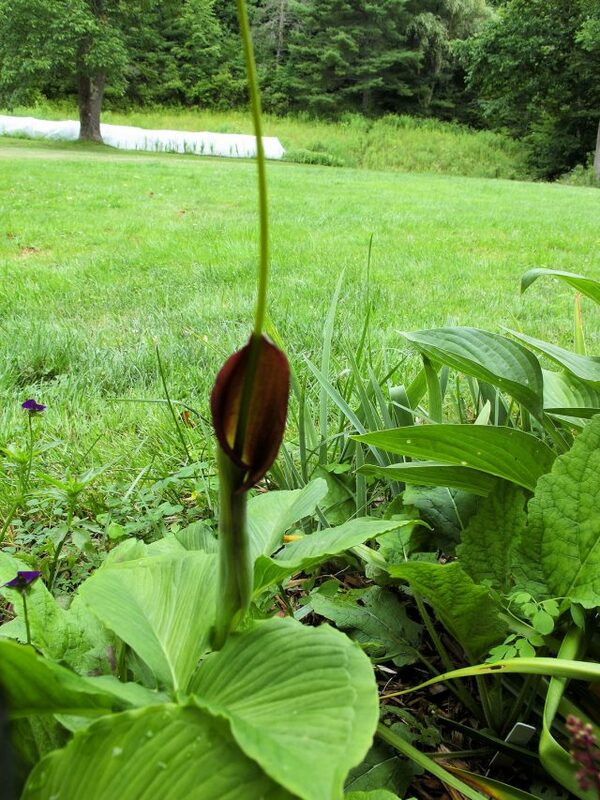 Purple dragon is a relative of Jack-in-the pulpit. I got my plant last year at the local rock garden society members-only plant sale. Apparently the plain green form can be “weedy” but the purplish form is not. We’ll see. So far that purple plays nicely with ‘Grape Expectations’ heuchera and Japanese painted fern. 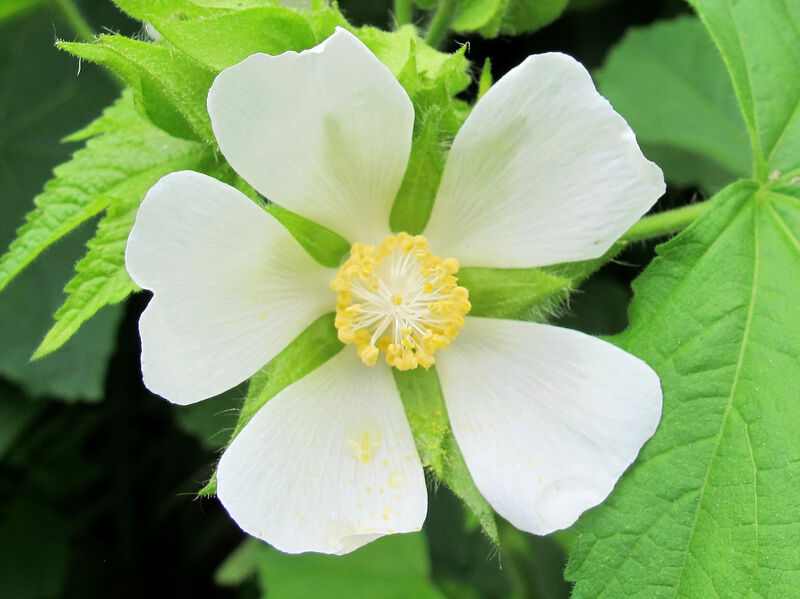 Can you see the mallow resemblance? The common name for Kitaibelia vitifolia is Russian hibiscus, but since it’s neither from Russia or a hibiscus, I decided to give it a new common name. 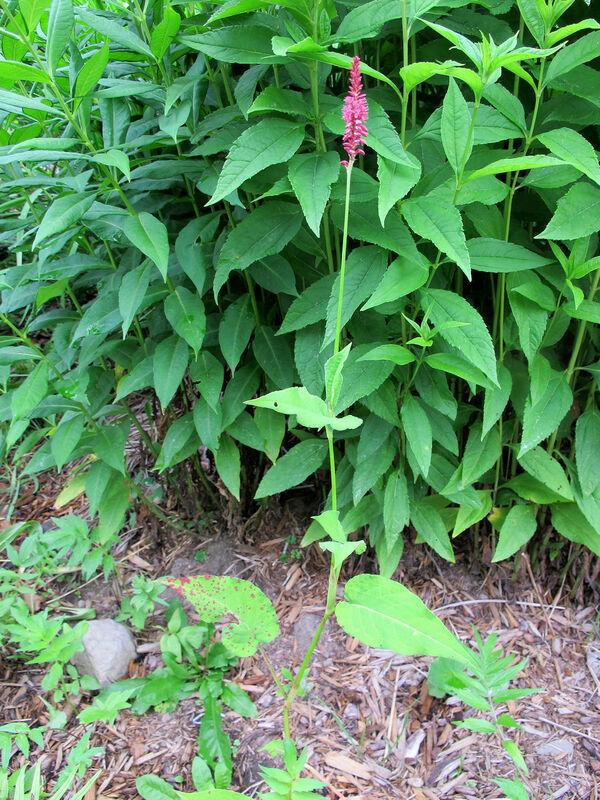 This is a big plant, over five feet (~1.5m) in my garden. That’s exactly what I want in the Slope Garden, big plants that you can see from a distance. Unfortunately the white flowers aren’t showy from a distance and you have to wade through the Slope Garden jungle to get a closer look. I am hoping it will get ever more floriferous as the years go by. I bought it from ForestFarm to replace a plant Craig Levy, a past CCG contributor, gave me. Someone at the Adirondack chapter of the North American Rock Garden Society offered this plant for sale at the members only plant sale, and I snatched it up. I had seen fleeceflowers grown in Quebec to great effect so I wanted to try one for myself. 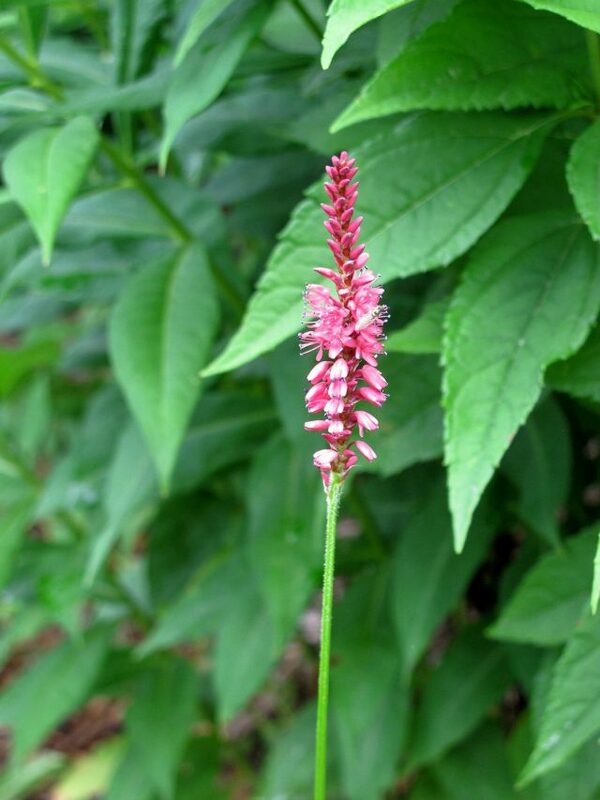 My plant was seed grown and has rather pinkish flowers. The cultivar ‘Firetail’ is supposedly a deeper red and a favorite of Piet Oudolf. The leaves of this fleeceflower look rather weedy. I don’t find the leaves particularly attractive, but where I’ve placed it in the Slope Garden you won’t see them anyway. Looking forward to a mass of these bottlebrush flowers next year. Given a bigger support, this clematis could go higher and wider. For you careful readers out there, I know I said three new plants and this is number four. It did bloom a bit last year, but this is the first year it really looks like something. I received it as a sample plant from Proven Winners in 2014. It’s fragrant and floriferous, perfect for my front porch. It can grow 10 to 12 feet (~3-3.5m) but my trellis is not that big so every so often I snip the most wayward strands. Just think what it would do trained over an arbor! I’m wondering if I can finagle some netting or chicken wire between two porch posts and let it grow sideways across the length of the porch. There’s plenty more of the usual stuff blooming but I was occupied with a family wedding over the weekend and wanted to share some highlights before the entire month slipped past me. I have Yugoslavian mallow, and I love them. The maintenance is easy and they bloom on an on, all spring! and the clematis are wonderful! they look precious. 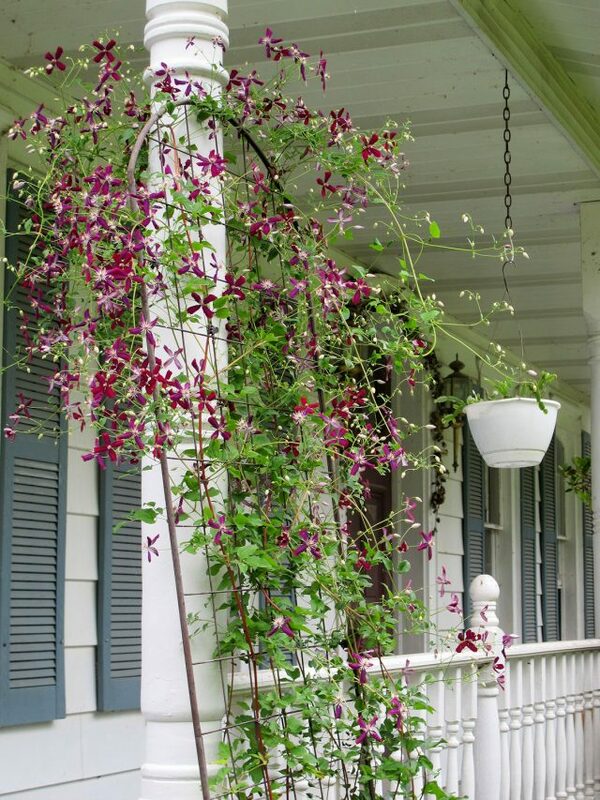 My Aunt who lived in Illinois always had clematis growing on one side of her front porch. Seeing your clematis brings back good memories of fun family times at my Aunt and Uncles. Thanks for sharing! 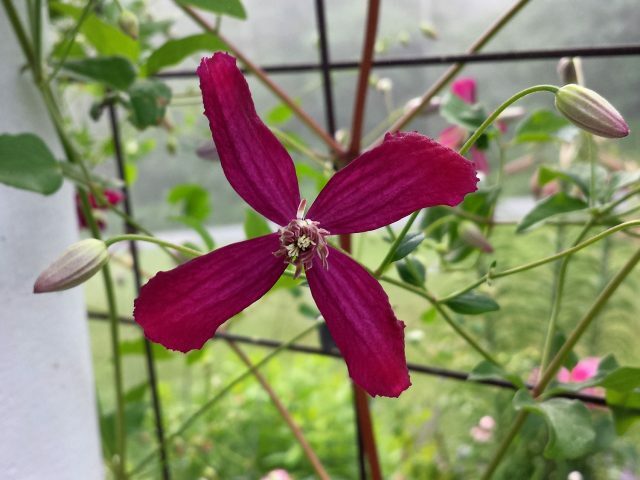 I have the same clematis and am training mine to grow up through a serviceberry. It doesn’t have near as many flowers as yours. Perhaps I should give it a nice trellis to climb on instead? 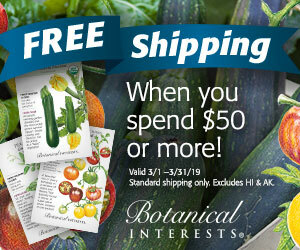 Plant envy! Plant envy! I want, no need, that Purple Dragon! Wow. Love to learn about plants I’ve never heard of before. I actually have Perscicaria Firetail and I can tell you, it is TOUGH! Picked it up from Bluestone Perennials years back. 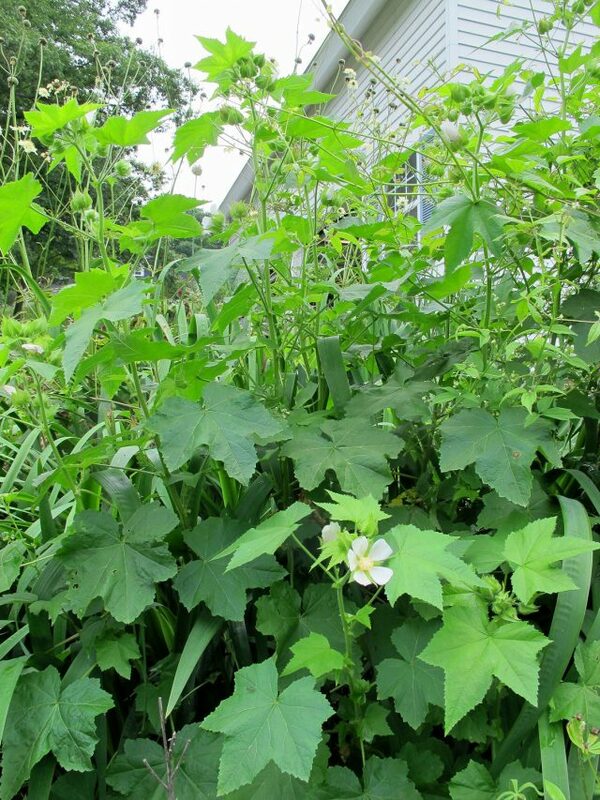 It has survived the flowering raspberry mob without my help for the past two-three years although it is dwindling. No worries, I will be sure to save it. 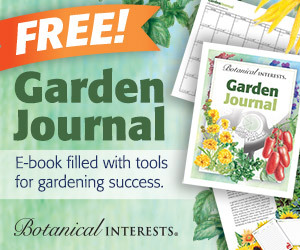 That clematis is a looker, too – love no matter the sweet summer! What fun. I’m glad you found the time to post and I’m glad you have some new things coming along this year! The pinellia makes me nervous but the hollyhock is cool and the Clematis is great! I liked this clematis too. The color is so deep. New plants are such fun! I love that clematis and think it looks so sweet on that trellis.